This was a year that we will always remember... whether we want to or not. We lost some of the world's greatest artists, leaders, and legends. We became deeply divided as a nation. We experienced many extremes of the human condition. We felt fear, loss, pain, and sadness. And somehow... we still kept the most important thing of all: HOPE. We have kept hope and joy in our hearts even on the darkest of days. We have loved your smiles, words of encouragement, and connections with us and each other. This year has created bonds and movements that will build a better tomorrow. We are hopeful for what 2017 has to bring. But before we move forward, it is essential to reflect on the past year. We must think about what we learned from 2016 and what we can to do make the world a better place tomorrow. Here is our list of the good, the bad, the sad, the very ugly, and the hopeful of 2016. Ohio 2016: A Year in Review. All photos were posted during 2016 to the @OhioExplored Instagram channel. 22. We searched for peace, unity, and balance. Photo by @marimaloney at Hocking Hills State Park in Logan, Ohio! 20. We lost some of the world's greatest artists, leaders, and legends. 19. We were afraid of an uncertian future. 18. We formed new bonds over shared passions. 17. We defended our Human Rights. 16. We got organized and formed grassroots organizations to fight injustices. 15. We were reminded of our place in The Universe. 14. We drank "Coffee, Coffee, Coffee" and our 2000's dreams came true! Photo by @sarah_beth_sutter at The Mohicans! 10. We played Pokémon... again! 9. We experienced some insane weather and saw the effects of Global Climate Change. 8. We danced. We cried. 7. We celebrated our PRIDE! 5. We chanted from the rooftops: Black Lives Matter! 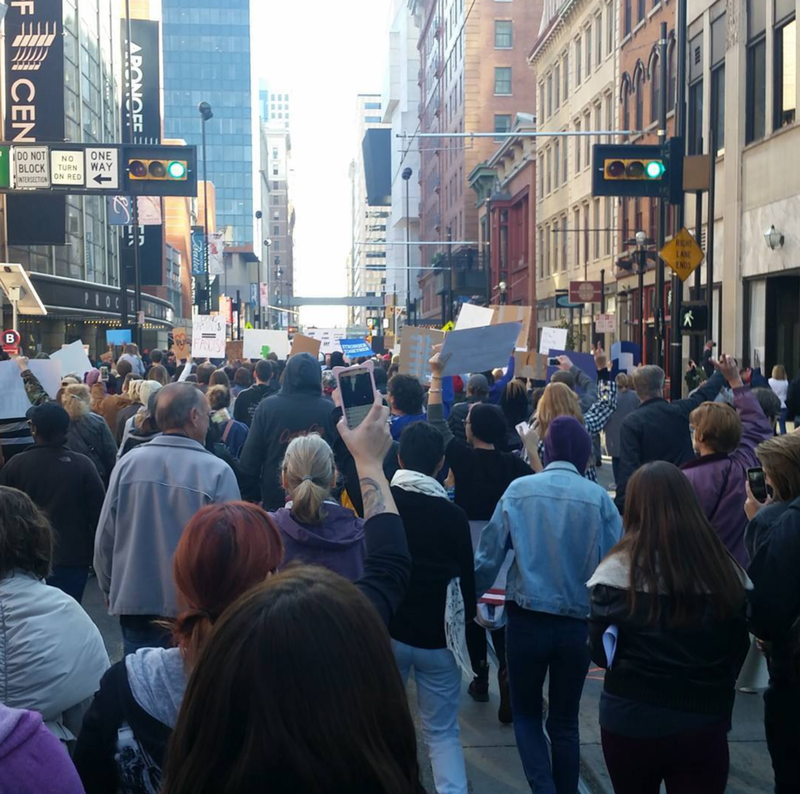 Photo by @thethirdbend at a peaceful protest in Cincinnati, Ohio! 1. We never stopped exploring! Photo by @erin.esther in our Ohio Vibes Tee! Follow us on Instagram @OhioExplored for daily Ohio photos!